This empty land has puzzled me for some time. Why were these grand houses torn down? Who owns this land? 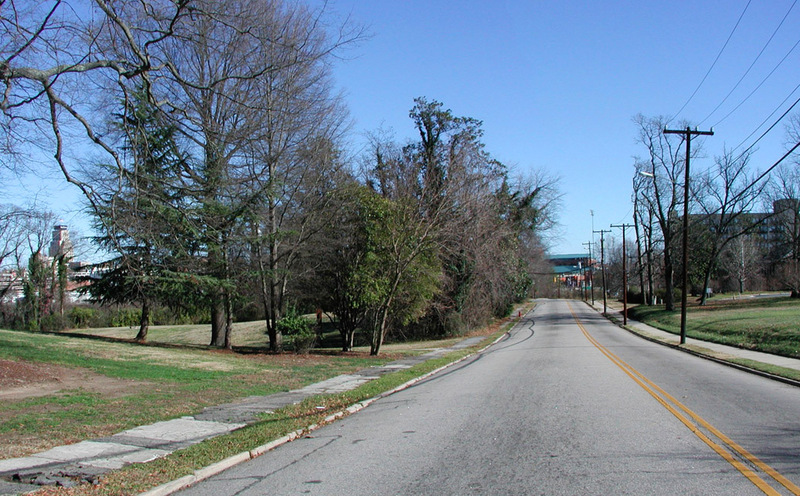 Why have new houses not been built on the lots? 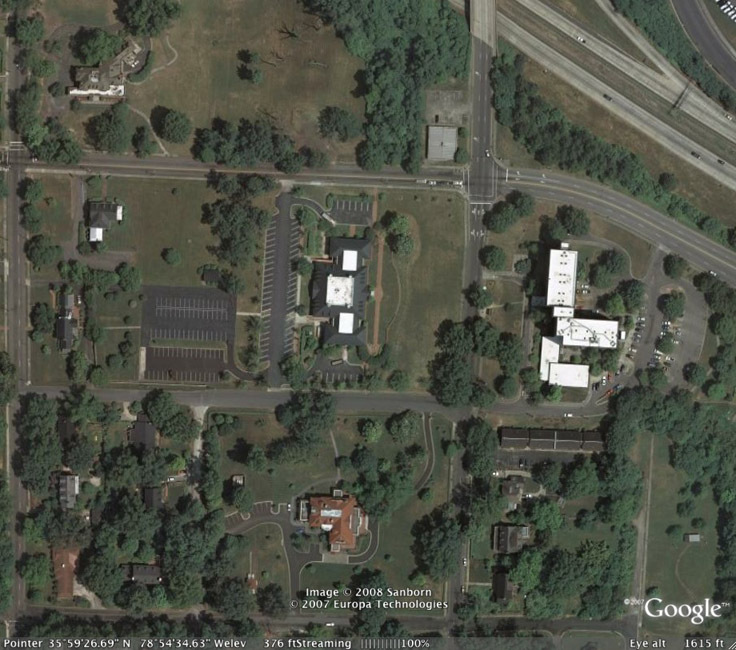 Talk about a waste of space -- at least make it a proper park if it is to remain natural. It just seems sorta desolate. When I become an eccentric billionaire, I plan to buy all these lots and start an independent liberal arts college on the spot. J.J. Henderson will make a nice dorm building. 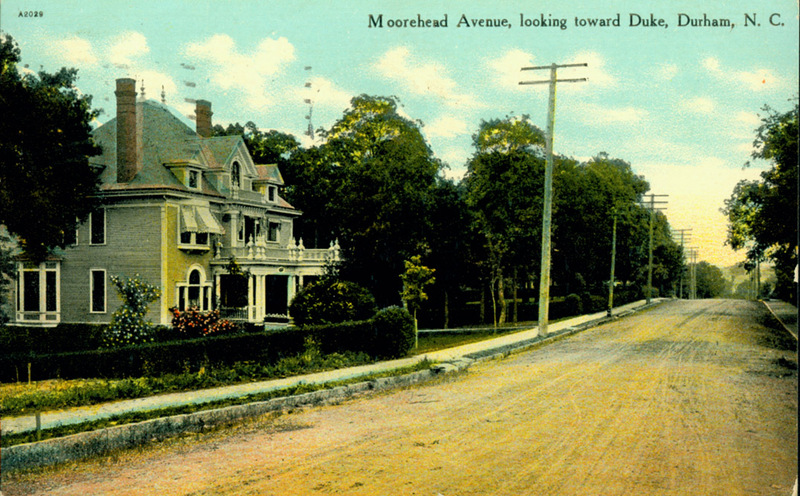 As the remainder of Morehead Hill developed in the 1880s and 1890s, multiple large houses were built on the larger lots along Morehead Ave. and Vickers Ave. The house of SF Tomlinson, above is one example; after 1872, Tomlinsom was one owner of Durham's original tobacco companies, the RF Morris tobacco company, located here. Tomlinson's name appears with all of the other usual suspects in endeavors like the Fidelity Bank and serving as an original school commissioner. 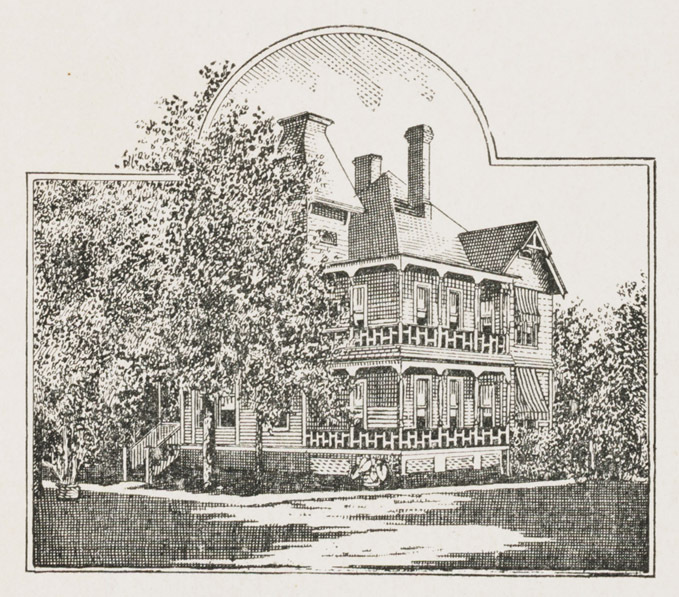 Gilbert C. White came to Durham in the early 1900s - by 1907-08 he was residing at 512 Morehead in the house of his mother-in-law, Mrs. S. F. Tomlinson. He worked as a city engineer and continued to consult as a civil engineer forming the G. C. White Company around 1923. He was also vice-president of the Southern Fire Insurance Company and was a partner in CE Boesch, GC White, CC Fulton. The Whites continued to live here until their son Finley and his family moved to Hope Valley in 1950. G.C. 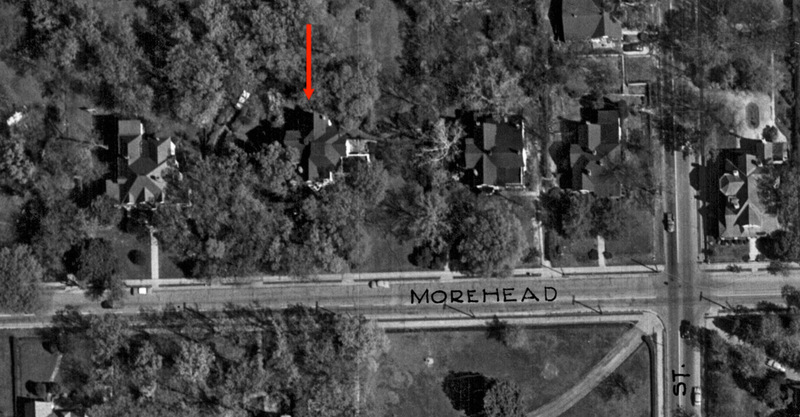 White’s grandson, G. C. White II remembers the tennis court, the back yard that sloped down to the barn, and going to Calvert School on S. Duke Street.